We are manufacture of a wide range of assembly lines for Electrical,automotive and various types of Motors ,pumps, compressors, engines, GSL assemblies, Validation and testing etc., These lines are precisely designed and engineered according to the customer needs and required process time considering quality requirements (poke yoke and mistake proofing). Sturdily constructed, these machines are featured with high tensile strength, high performance, corrosion resistance and durability. 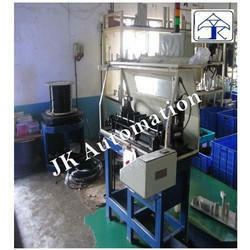 Further, we are also capable to provide these machines as per the customized requirements of the clients. This is specially designed for cold stacking operations suitable for two plastic components joining. 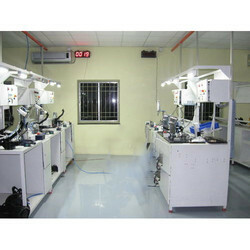 These machines are widely used in automotive assembly preparation and medical device fabrications. This is fast productive and low power consuming user friendly SPM, suitable for any similar application and any customization is possible. Our clients can avail from us a wide assortment of Fuel Injection Pipe Forming And Cutting SPM, which are made in compliance with the needs of clients. These pipes mainly cater the requirement of varied industries. Moreover, the products offered by us are quality checked for ensuring superlative quality and long service life. These are made as per industry standards and are offered at market leading rates. 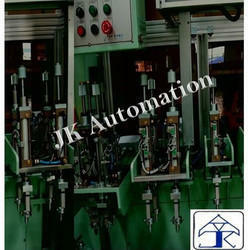 Jk Automation offers Pedal Assembly And Validation SPM with test rigs. This line is offer high productivity and low-cost machine which can deliver high-quality production of brake and clutch assemblies with all test parameters for various four wheeler pedal control system. 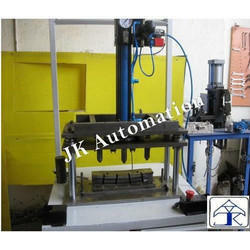 This is a semi-automatic assembling machine which is used for automotive industries. 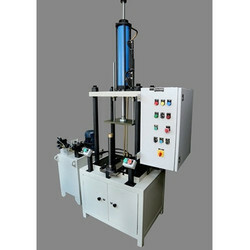 This machine covers all quality parameters and user friendly equipments. This line is recently installed in Auto line India Pune. The customer is very satisfied with its performance. 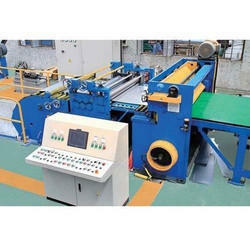 We offer you exquisitely designed and engineered to perfection fully automatic Cut to length SPMs. 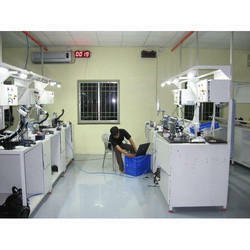 This SPM is high productive and very accurate feeding and cutting of Derlin and PTFE tubes. These machine is suitable for any types of rods and tubes like rods, pipes, sleeves and mattel stripes with pre determine length and quantities. Suitable for cable assembly lines, rubber industries, automotive and engineering industries. This special purpose machine is specially designed for defence applications. This is a high productive electro-pneumatic user friendly explosive cartridge crimping SPM.This is suitable for various types of cartridges.this machine is considered flame and explosive proof for operator saftey. GSL Assembly SPM offer a fast productive and low cost machine can deliver high and quality production.This is a semi automatic assembling machine which is used for automotive industries.This machine cover all quality parameters and user frontly recently installed in Tata Ficosa Pune. The customer is very satisfied with its performance. This special purpose High Productive Rocker Lever Brazing SPM designed for achieve high volume quality production of rocker lever manufacturing for automotive industries. This is semi automatic rocker lever SPM specially designed with low cost automation concept which serves the needs of the customer. This is suitable for all types of rocker lever used from small engines to large power generators. We have developed such a technology that serves any special requirements. 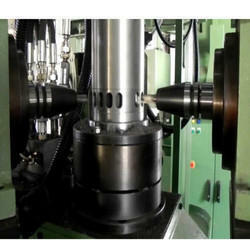 This machine is dedicated for the shock absorber rod assemblies with desided height. We also provide the technology. 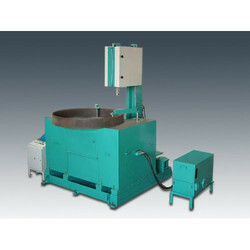 We also provide all range of the machines. This is basically low cost wire flattening and brand stamping machine. This is a high productive automatic hydro pneumatic stamping SPM used in Argon welding rod and forming process.This SPM is highly productive and Quality maintained. We offer you exquisitely designed and engineered to perfection fully automatic Cut to length SPM. This SPM is high productive and very accurate feeding and cutting of Derlin and PTFE tubes. These machine is suitable for any types of rods and tubes like rods, pipes, sleeves and mattel stripes with pre determine length and quantities. Suitable for cable assembly lines, rubber industries, automotive and engineering industries. Suitable for any type of flexible like rubber, plastic, wire, Etc.This is one of the high productive accurate cutting machines. This is used in fuel tube manufacturing and lubrication pipe manufacturers. 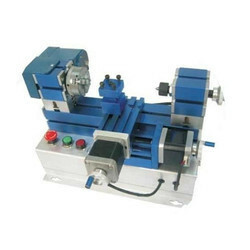 This machine is used for automotive car Fuevel Flap manufacturing,this machine can support for fuvel flap accurate crimping and curling operation on the same machine.This a two operatin in the same machine ,this machine also support for the after assembly torque teting attachment is possible in the same machine.thes fuvel flap assembly hydraulic machine is spechily design for crimping and curling operation with un skill operators,Ladies can operate this machine .this machine is having HMI PLC pannel.with self explaine and data stor fesility of test parameters,All pokeyoke is inplaced in this Fuel Flap assembly machine with support of LC and HMI.this machine is high productive and quality controled one. we also customised the same machine for diffrent varients. Looking for Assembly SPM'S ?